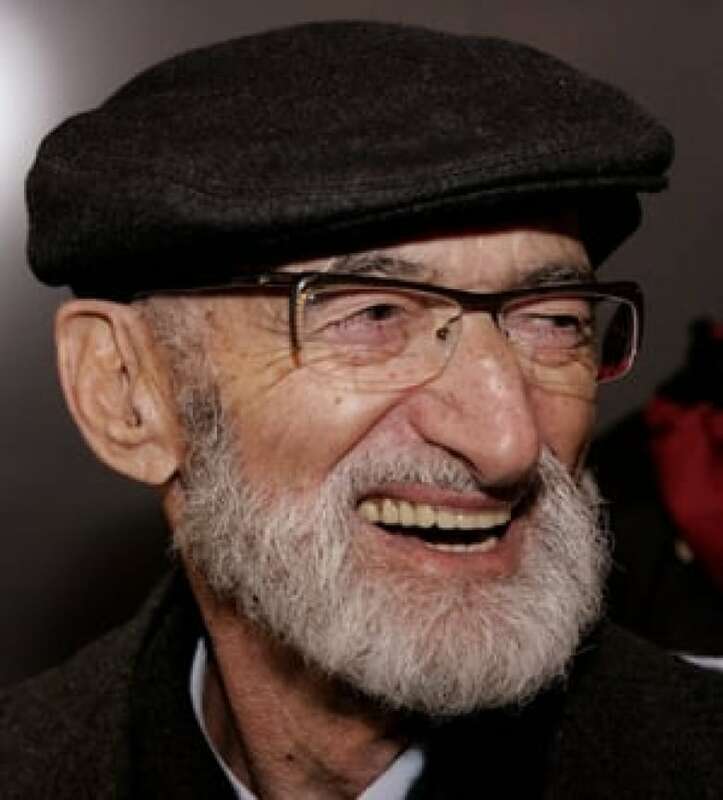 Four months after celebrating the 25th anniversary of his historic win at the Supreme Court of Canada, Dr. Henry Morgentaler has died of a heart attack. That 1988 ruling struck down Canada's abortion law as unconsitutional, opening access to the procedure across the country. 1892: Parliament passes Canada's first Criminal Code. It prohibits abortion as well as the sale, distribution and advertising of contraceptives. A significant number of women continue to seek abortions, according to news reports. 1969: Prime Minister Pierre Trudeau's Liberal government decriminalizes contraception and allows abortion under certain circumstances. Abortions may be performed in a hospital if a committee of doctors decides that continuing the pregnancy may endanger the mother's life or health. Access to abortions varies across the country. 1969: Abortion activist Dr. Henry Morgentaler defies the law and opens an abortion clinic in Montreal. His clinic is raided in 1970 and he is charged with several offences. It marks the beginning of 20 years of legal battles. May 1970: Thirty-five women chain themselves to the parliamentary gallery in Ottawa as part of a two-day demonstration for abortion rights. March 1973: Morgentaler announces he has successfully performed more than 5,000 abortions. 1973: A Quebec jury acquits Morgentaler. 1974: The Quebec Court of Appeal later overturns the 1973 verdict, a ruling Morgentaler appeals to the Supreme Court. In June, another jury also acquits Morgentaler. March 1975: Morgentaler begins serving an 18-month jail sentence after the Supreme Court of Canada rejects his appeal. Earlier, a Quebec court had convicted him of conspiracy to commit an abortion. While he's in jail, Quebec prosecutes him on a second count of conspiracy to commit an abortion. This time, he's acquitted — and the Quebec Court of Appeal does not overturn the verdict. May 1975: A petition against abortion rights with more than one million signatures is delivered to Parliament. January 1976: The federal justice minister sets aside Morgentaler's original conviction and orders a retrial. Morgentaler is released from jail after serving 10 months. September 1976: Morgentaler is acquitted of the original charge laid after his Montreal clinic was raided in 1970. In November, Quebec's newly elected Parti Québécois government drops all outstanding charges against Morgentaler. 1982: Canada enacts the Charter of Rights and Freedoms. Any law found contravening those rights can be struck down as invalid. July 1983: Police raid Morgentaler's newly opened Toronto clinic and charge him and two colleagues. Over the next five years, the case winds its way up to the Supreme Court. 1983: Former Manitoba politician Joe Borowski launches a case asking the courts to declare the 1969 amendments to the Criminal Code invalid. He argues that the outlay of public money for abortion is unlawful because it contravenes the Canadian Charter of Rights and Freedoms, which he argues guarantees a fetus's right to life. A Gallup poll shows that 72 per cent of Canadians believe the decision to abort should rest solely with the pregnant woman and her doctor. 1984: An Ontario jury acquits Dr. Morgentaler, Dr. Scott, and Dr. Colodny on abortion charges. 1985: Police twice raid Morgentaler's Winnipeg clinic, leaving him facing seven charges in Manitoba. In Ontario the Court of Appeals sets aside the Toronto jury's acquittal and orders a new trial. 1986: Toronto police again lay charges against Dr. Morgentaler, Dr. Scott, and Dr. Colodny. The charges are dropped the following year. priorities and aspirations, is a profound interference with a woman's body and thus a violation of her security of the person." Canada becomes one of a small number of countries without a law restricting abortion. Abortion is now treated like any other medical procedure and is governed by provincial and medical regulations. March 1989: The Supreme Court of Canada refuses to rule on Borowski's case, which argues that fetuses have a constitutionally guaranteed right to life. The court says his case is moot since the abortion law had already been struck down. 1989: The Supreme Court rules that a man has no legal right to veto a woman's abortion decision. The ruling comes after the boyfriend of Chantal Daigle obtained a court injunction preventing her from getting an abortion. By the time the case was settled, Daigle had secretly obtained a late-term abortion in the U.S. In Ontario, a similar injunction, filed by an ex-boyfriend, is granted against Barbara Dodd. She too has an abortion but later tells the public she regrets her decision. 1989: Nova Scotia bans abortions in clinics outside hospitals. 1990: The federal government, led by Progressive Conservative Prime Minister Brian Mulroney, introduces Bill C-43, which would sentence doctors to two years in jail for performing abortions where a woman's health is not at risk. The bill is passed by the House of Commons, but dies in the Senate after a tie vote. May 1992: Morgentaler's Toronto clinic is firebombed. 1994: New Brunswick bans abortions in clinics outside hospitals. 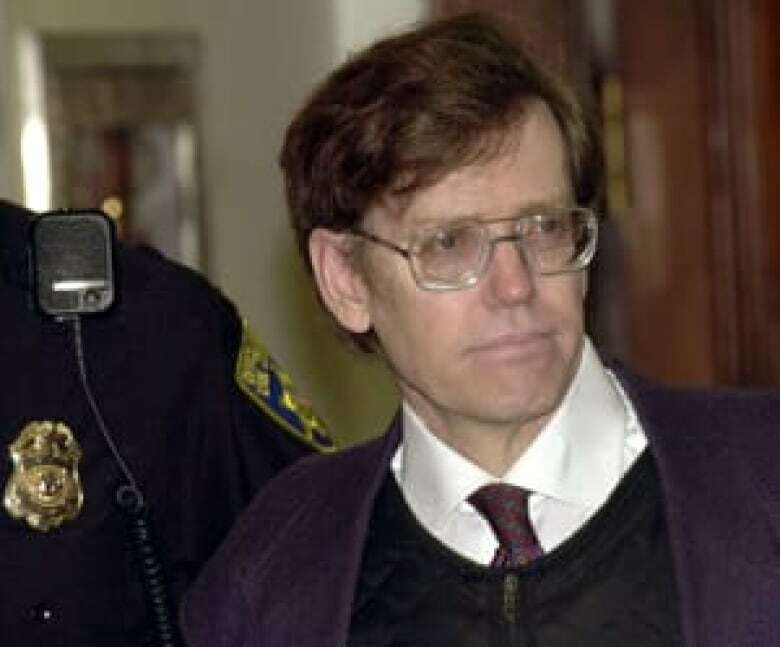 November 1994: Dr. Garson Romalis is the first Canadian doctor shot for performing abortions. He's hit by a sniper while eating breakfast in his Vancouver home. Two similar shootings follow in 1995 and 1997, first in Ontario, then Manitoba. None of the attacks is fatal. James Kopp, who is later convicted in New York state for the fatal shooting of a doctor who performed abortions in Buffalo, is named as a suspect in some of the Canadian shootings. 1995: Provincial and federal rulings force Nova Scotia and New Brunswick to allow private abortion clinics. However, access to abortions outside hospitals continues to be inconsistent across the country. Some provinces decide to cover the cost of abortions performed in clinics outside hospitals. Others don't, meaning that women who can't get into a hospital for an abortion must pay the costs of a clinic abortion out of their own pockets. June 2, 2004: Conservative Leader Stephen Harper tries to steer clear of the abortion controversy while campaigning for the June 28 federal election, saying he has no plans to change the country's abortion regulations if he forms the next government. The statement comes after his party's health critic says women considering an abortion should receive third-party counselling. 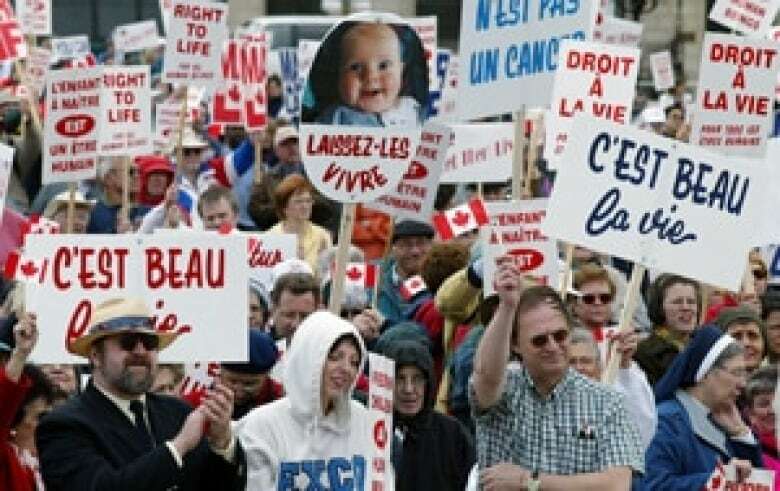 May 18, 2006: Dr. Everett Chalmers Hospital in Fredericton, the last hospital in New Brunswick to perform publicly funded abortions, announces it will suspend the service as of July 1, citing workload problems. New Brunswick is the only province in Canada that refuses to pay for abortions performed in clinics, despite the 1988 Supreme Court of Canada ruling. March 2007: Conservative backbencher Ken Epp introduces a private member's bill in the House of Commons that calls for the slaying of a fetus to be considered a separate offence from the slaying of a pregnant woman. The Unborn Victims of Crime Act survives a vote in the House of Commons, passing 147-132 on March 5, but ultimately gets stalled and is never made into law. Pro-choice advocates denounce the planned bill as a means to enshrine fetus rights, while the Canadian Medical Association opposes it. Even prominent Conservatives hesitate to support the bill — Harper, now prime minister, votes for it, but Lawrence Cannon, Gordon O'Connor and Josée Verner do not. July 1, 2008: Morgentaler, now 85, receives the Order of Canada, an honour that sparks outrage among anti-abortion advocates. About a dozen activists picket outside the Quebec City ceremony, while others return their own Order of Canada medals. Morgentaler says he is honoured to receive the award, saying Canada "is one of the few places in the world where freedom of speech and choice prevail in a truly democratic fashion." Aug. 25, 2008: Conservative Justice Minister Rob Nicholson drafts new legislation to replace backbencher Epp's bill. The proposed bill allows judges to consider a victim's pregnancy when determining a sentence, a notion that Nicholson insists leaves "no room for the introduction of fetal rights." The bill never makes it to the House of Commons — less than two weeks after it is drafted, Harper asks the Governor General to dissolve Parliament and call an election. May 21, 2009: The New Brunswick Court of Appeal rules that Morgentaler can proceed with a proposed lawsuit against the provincial government, which only pays for abortions that are performed in hospitals and approved by two physicians. Morgentaler wants to sue the province for not covering the cost of abortions performed in his private clinic, and the New Brunswick government has asked the Court of Appeal to block the suit. May 17, 2013: New Brunswick Court of Queen's Bench Justice Paulette Garnett rules the N.B. Labour and Employment Board cannot conduct a hearing into whether the province's abortion policy is violating a doctor's ability to offer accessible health care.